Overgrown grass can be the stuff of nightmares for a lot of folks. It’s not always easy to maintain your garden in top shape throughout the year. For a lot of people, traditional lawnmowers aren’t an option for keeping everything in shape. This is where garden strimmers come in. They are excellent tools that have similar functionality to a lawnmower but are simpler to use and maintain over the years. Strimmers can be a fantastic option for you and your garden if you don’t want to lug heavy gardening equipment around. You also won’t have to worry as much about the purchase costs or the money spent trying to maintain them. To get a better sense of strimmers, we’ll be taking a look at some down below. There’s no doubt that the market is flooded with great strimmers out there. You can get all kinds of strimmers from big name brands to smaller companies. But finding the best one can be harder than you think. There are dozens of great strimmers out there and you might have to search thoroughly to find the right one. These days, strimmers from big name companies like Bosch are very popular and in wide use. They have some of the largest collection and users have them to have some of the best strimmers out there. The Bosch ART 23 SL in particular has been named among the top strimmers out there. It is an electrical strimmer with a high powered 280W motor. This is enough to clear away tall grass with ease and precision. At the same time, it holds back on its power enough that it can be comfortably used in smaller gardens without any issues. This strimmer has a very ergonomic design and is very easy to use and manoeuvre. You won’t find any problems trying to wrangle this strimmer along your garden. The handle has a nice firm padded grip on it with quick click buttons and switches on top. This makes it such that you’re ready to go at a moment’s notice without any kind of setup. It’s hard to shop for a reliable strimmer these days. There is a great abundance of various types of strimmers which can make it extremely hard for any buyer. Faced with issues like these, it’s easy for any buyer to end up getting something that they are not happy with. But thankfully, there are ways you can find out about the actual quality of a product. Online reviews are invaluable to making your purchasing decisions as they pinpoint the key features as well as highlight any pros and cons. By reading up on reviews, you can get a firsthand look at some great strimmer options out there. 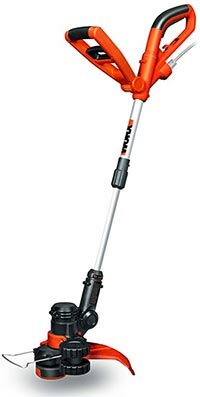 From all the reviews up online, the BLACK+DECKER ST5530-GB Corded Grass Strimmer has seen the majority of favourable reviews. Not only is it lauded by professional reviewers by it has also received praise from the average consumer. 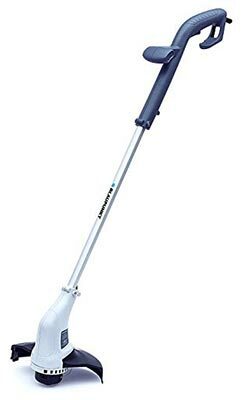 You can find tons of positive reviews for this strimmer on all kinds of online retailers. It’s no real surprise that this strimmer has seen the bulk of positive feedback. It comes with a 550W motor which is more than enough to take any overgrown grass or any pesky weeds in your garden. It will even go through thick growths without clogging or getting stalled thanks to its E-Drive technology. You’re promised great performance without the cost of any technical faults. This strimmer is remarkably easy to operate no matter what you use it for. It comes with its own AutoSelect technology which switches between modes for optimal performance. Meaning you can keep cutting away without have to tinker with any settings or switches. All you have to do is switch it on and sit back while it does its job. There are many strimmers for sale these days as the market for gardening care is growing. There is a lot of interest for people that want a decent strimmer for their lawn care needs. Typically, people want to find the best strimmer they can for their hard earned money. If you’re in this situation, you may find that there are some great strimmers out there if you research hard enough. But thankfully, we have taken care of the hard work for you so you can enjoy picking from some of the best options out there. 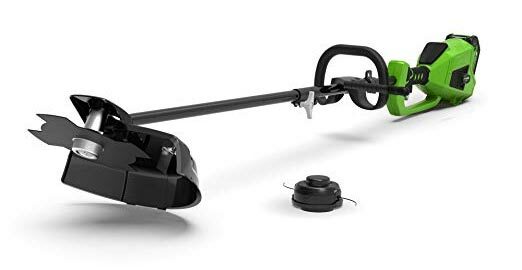 The WORX WG118E 550W Corded/Electric Grass Trimmer is just the kind of strimmer you would need if you’re looking for a great strimmer on sale. In fact, not only is it a great strimmer but it’s also a great all-rounder as well. That’s because this is a 2 in 1 unit that includes a strimmer as well as a handy edging tool. In just a matter of seconds, you can go from trimming your grass to smoothing out any rough edges with relative ease. 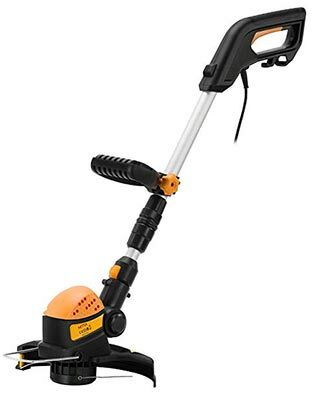 This strimmer is really comfortable and handy when you’re out trimming any unwanted growth. It has a 90 degree tilting head that allows you to really get into all kinds of angles that simply wouldn’t work elsewhere. If that wasn’t enough, this unit also has a completely adjustable shaft and handle. You gain maximum control while using this strimmer without having to compensate on anything. While strimmers can be great tools for all purpose garden care, they are not without their limitations. One of the major problems faced with strimmers is their ability to be used in large gardens and wide open spaces. The major thing that limits them is the length of the cord that they come with. Some manufacturers have tried to fix this by making models with longer cable lengths but unfortunately this hasn’t completely fixed the issue. Cordless strimmers end up being a great way to get around this problem allowing you to go anywhere around your garden unhinged. These strimmers typically come with a battery pack instead of a cord so that they can be used without needing a dedicated wired power source. This also means that these units will be slightly heavier than their wired counterparts but for added benefit of ease and comfort, it’s a marginally small price to pay. It’s understandable that given the convenience of cordless strimmers that you would want to have them for your use. But not all cordless strimmers will give you the same level of performance and function. So while picking cordless strimmers is a great choice, it’s not the only one you’ll make. It’s also important to make sure you have a decent cordless strimmer so it doesn’t fail you when you need it most. There are dozens of great cordless strimmers out there but for us, the Garden Gear Cordless Strimmer manages to outclass the rest. It’s one of the best cordless strimmers that you can buy right now. 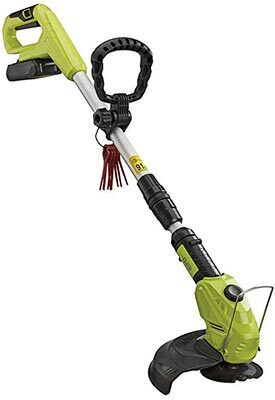 It comes with its own 20V lithium ion battery that is sure to provide enough power to the strimmer to keep it going. The blades are well crafted to make sure they can cut through with ease and precision. However, there are measures in place to make sure you don’t sacrifice your control for power. This strimmer comes with an included edge guide that keeps everything neat and tidy. This helps you manage the outer corners of your grass or hedges without cutting too much off. Additionally, you also get a stabilising handle with a 26 cm width for cutting at wide angles. The biggest selling point for this unit is the fact that it is made from environmentally friendly materials. 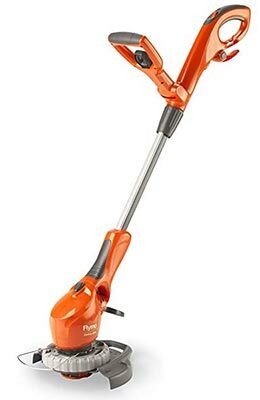 You won’t experience release of any harmful fumes while using this strimmer. Unlike petrol or grass strimmers, this strimmer is completely safe to use. Cordless strimmers are a dime a dozen. You don’t have to go too far to look for them. All it takes is a simple search and you can easily find dozens of them in your local appliance stores or online retailers. But how can you really distinguish a good quality strimmer when there’s an entire lot to be looked at. There’s not much information you can get jut from looking at the unit. A feature list on the box isn’t going to tell you how reliable a strimmer is and how long it will last. For this, you need to turn to reviews for actual firsthand information. You can gather a lot of useful information just by reading reviews left by users and professionals. Sometimes this can be all you need to decide on a potential purchase for yourself. 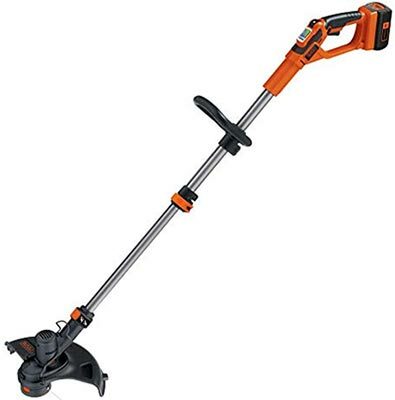 On the topic of reviews, the BLACK+DECKER 36 V Lithium-Ion Strimmer is one of the few highly rated products in reviews. It’s arguably one of the best cordless strimmers based purely in terms of the amount of positive reviews it has. And given the reputation of the brand, it’s not hard to assume why. This is by far one of the better cordless strimmers out there. This unit is equipped with its own 36 V Lithium Ion battery that powers the whole unit. For most strimmers this would mean that you’re sacrificing battery time for power but this isn’t the case with this particular model. In fact, the 2 Ah battery capacity ensures that it runs longer even with the amount of power it puts out. According to the manufacturer this is enough to make the unit last 3750 linear meters of cutting power on just one recharge. All in all, this means a solid unit with enough battery power to get you by an entire session. If you’re going through the trouble of buying a strimmer for your lawn, no doubt you will want to consider the possibility of a cordless strimmer. These kinds of strimmers have become widely popular as much as their wired versions. This means that a lot of people want to consider the option of looking at cordless strimmers for sale online. One of the better strimmer for sale online is the NETTA Cordless Grass Trimmer/Cutter Strimmer. Not only is it a solid unit that performs well and delivers great results but it’s also reasonably priced which means you get immense value from such a bargain buy. This isn’t just an average budget strimmer stripped down to the bare essentials; it’s one of the most feature rich units out there. This strimmer comes with its own 18 V battery. While this may not make it an ideal choice for larger gardens and extended use, it’s still a great unit. One of the benefits of having a smaller battery is that you get to save on weight as well. It’s no surprise that this unit only weighs a mere 2.3kg which is surprisingly light for a cordless unit. This is achieved by having an aluminium handle which is not only light but durable and comfortable. To further add to the comfort and ergonomics of this unit. It includes great features like a telescopic handle that extends all the way to 90cm for maximum cutting angles. You will a 180 degree rotatable head that gives the best freedom while cutting. You would be surprised to know that electric strimmers are not the only strimmers that come in cordless variations. In fact, some of the best cordless strimmers out there are petrol strimmers. These strimmers work similar to any other strimmers expect for the way they’re powered. Instead of relying on electricity to power their motor, they use the tried and tested mechanical motors that have powered appliances and equipment for decades. The great thing about petrol strimmers is that you do not need to tether them to anything. You’re allowed to roam freely in your garden without any hesitation or issues. You won’t have things like a cord or limited battery timings weighing you down. As long as you have a can of petrol with you, you can keep the unit for as long as you want. They can be a bit harder to setup and use than electric strimmers but anyone with experience around cars or generators will be easily accustomed to them. Petrol strimmers are great for clearing out large and thick areas of growth with ease. Since they aren’t limited in terms of their power, you can go ahead and let the unit do most of the work. You can also configure them to run according to your needs such as swapping the line trimmer head for a metal blade to turn them into brush cutters. This makes them extremely powerful and highly versatile for all kinds of different applications. It stands to reason that if you’re looking for a petrol strimmer, it isn’t worthwhile to look at the simplest or cheapest option out there. Since strimmers can be a big investment for some, it’s worth picking better alternative for yourself so you can get the best product in the end. This makes it so that spending the time to look for the best petrol strimmers out there can be the best option. 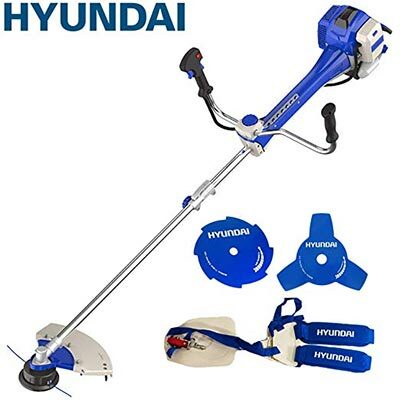 The Hyundai HYBC5080AV 2 Stroke Grass Strimmer is considered the best of the best in terms of petrol strimmers by many. It should come as no shock given how Hyundai is a major brand in the automotive and mechanical world. This unit comes with a 2 stroke 50.8 cc recoil start petrol engine. This means you’re getting plenty of power to cut through most pesky plant growth. Normally with an engine like that, you would expect it to go out of control from the users hands. But that’s not the case here as this unit is perfectly safe thanks to its anti-vibration system. This system keeps you making any botched attempts on your lawn or putting your safety at risk. As a side benefit, this also means that it cuts down on any absurdly loud noises that would typically be the standard for petrol strimmers. The price may be a bit steep for some but this unit comes packed with a two-string nylon cutting head, three-tooth and eight-tooth cutting blades. And with Hyundai’s three year warranty coverage, this a unit that will last you a long time. The trick to finding a decent petrol strimmers, you have to be aware of everything about the product. There are all kinds of petrol strimmers out there but not all of them are the best. To be to find the best of the best you have to reach out and find additional information on the strimmers available out there. The greatest way to do this is to read reviews for petrol strimmers. Whether you’re reading reviews on online retailers or going by professional reviewing sites, reviews will give you the grounded experience of how a strimmer actually performs in the real world. 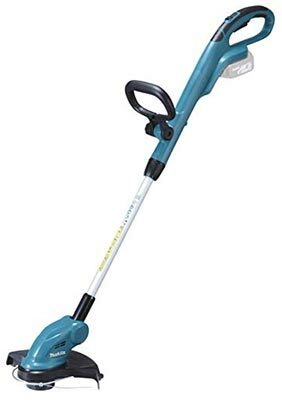 The ParkerBrand 52cc Petrol Garden Brush Cutter Grass Trimmer has been consistently great reviews online by consumers. It offers great performance and features at a very reasonably priced so it should be no real surprise. 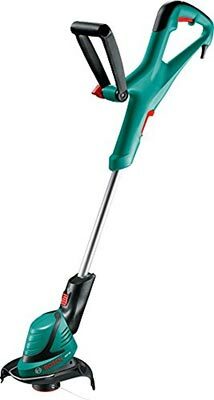 This is one of the more durable petrol strimmers that you will find out in the market. They’re made from some of the most tensile and damage resistant materials to protect the strimmer. This strimmer is a also innovative in the sense that it is very easy to dismantle and put together. This means you can take them apart and carry them around. This will also make it easier for you to store in your garage if you don’t end up using the strimmer for a long period of time. Great portability and storage options. Foldable and easy to dismantle and reassemble back. A lot of people are turning to petrol powered strimmers to fulfil their gardening duties. If you fit into this group of people, then you might be in the market for a good petrol strimmers. The market is flooded with all kinds of options to choose from which can leave you overwhelmed. But if you follow some basic guidelines you should be able to find the perfect petrol strimmer for sale. One of the standout petrol strimmers out there is the TIMBERPRO 52cc Heavy Duty Split Strimmer. This is advertised as a heavy duty strimmer and with good reason. This petrol strimmer packs a heavy 52cc motor that can easily cut the most stubborn growth in your lawn. This model comes with a three blade design which helps cut grass as cleanly and as efficiently as possible. This also means that this unit will double up as a great brush cutter when needed. You don’t need to worry about comfort or ergonomics when using this strimmer. The unit comes with a rubberised handle that gives you a firm grip. On top of that, it also comes with its own dedicated shoulder strap. This lets you easily cut and trim properly without having the unit move around too much during use. 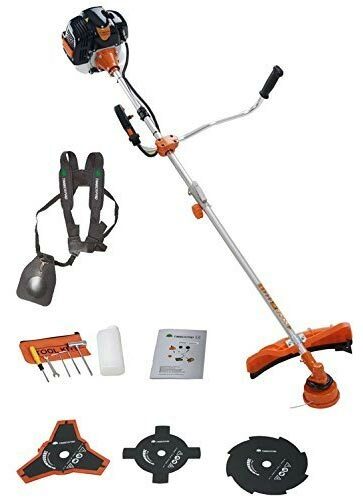 This is a great petrol strimmer for professionals and heavy users that want to do extensive work done on their gardens. It’ll not only help you take out a bulk of the brush and at the same time provide enough delicate precision for trimming work. Not many people can distinguish between strimmers and mowers or anything gardening tools. This is why many people don’t see the benefit of the convenience specific tools can give you. The market is full of cheap solutions that offer all round multipurpose uses for every kind of job but few live up to the reputation. The basic assumption with strimmers is that they will all work for any kind of garden care purpose. But the reality is quite different than this. Not all strimmers are designed to be multipurpose tools for every strimming purpose. There are specialized strimmers that work for a particular purpose. Grass strimmers are one of the staples of the different kinds of strimmers out there. They’re specifically built for strimming grass around with ease and precision. Grass strimmers allow you get really close to the edge of the grass. This means that you can get some really precise cutting and strimming techniques that make your garden look neat and clean. If you’re looking for a great way to keep your grass in shape, grass strimmers can get you there. A grass strimmer can be an invaluable tool for you to be able to maintain your garden properly. It’s important to have one in addition to your other tools to get the proper level of tidiness for your grass. There are some areas that your mower simply can’t properly reach. And sometimes you can run the risk of cutting off more than you need. That’s why you need to have a strimmer handy for these jobs. But not only do you need a strimmer you need the best strimmer for your purposes. The Greenworks 40V Cordless Brushless Trimmer is one of the top sellers among all the grass strimmers out there. It’s a portable grass strimmer that works great for what it does. Despite being battery powered it has enough power to get the job done. It has a brushless that Is mounted on the top of the unit. Not only does this mean you get a great amount of efficiency from the motor to the blades, it also means that you’re going to quiet operation for the most part. You won’t have to worry about disturbing your family or neighbors with any excessive noise. You can choose between two battery options that offer 2 Ah and 4Ah capacity. These will give you enough battery power to easily get through a trimming session for your garden without having to keep recharging. Overall, this a fantastic strimmer for your basic grass strimming needs. Handling your garden properly can take a great amount of time and effort. You have to be able to do everything from clearing unnecessary growth like brushes, to trimming grass neatly, edging the lawn properly, and keeping your grass level. To do all this, you need the proper tools for the job. But that’s not always an easy task so you often have to rely on reviews to get a good gist of how a strimmer actually performs. In terms of online reviews, the Makita DUR181Z 18V tends to get the bulk of great feedback. This is an excellent unit at an affordable price that does the job well. It doesn’t come with its own battery but it is compatible with all kinds of batteries out there. This unit can accept most battery capacities like 1.5 Ah, 3.0 Ah, 4.0 Ah and 5.0Ah lithium-Ion batteries. This means you can pick the amount of battery timing you need. Using this strimmer is very intuitive and comfortable to handle. The design of the unit is ergonomic with features like adjustable pole height and a handy adjustable loop handle. This will help you hold on the unit and keep it secure during use. It will also come in handy afterwards when you want to hang the unit up in your garage or shed. 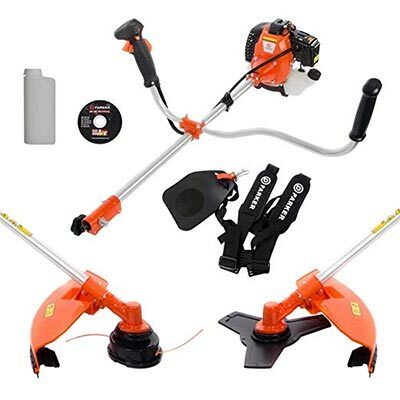 Just about anything on this strimmer can be adjusted to your needs. You can even extend your shaft length to from anything up to 180mm. Grass strimmers can be inexpensive tools that come in really handy. But you can’t escape the prospect of not getting a proper unit. Even if you do end up getting a great strimmer, it’s highly likely that there might have been a better deal out there. You can always find better unit for less than what other units are retailing for. That’s why you need to really evaluate all the different grass strimmers on sale. At the end of the day, it’s not just about how much you paid for a strimmer but how much value you got from your money. The Bosch ART 24 Electric Grass Trimmer is one of the better grass strimmer on sale that you can buy. Boasch is a universally renowned brand so you can accept a decent quality strimmer for your money. This is a corded strimmer that is powered by a 400 W motor which will help you easily get through your basic strimming duties with ease. The twin line automatic cutting system lets you easily get through wild and unruly patches of undergrowth with as much as normal garden grass. Comfort wise, this strimmer manages to be one of the most easy to use units out there. This unit only weighs 2.4 KG which means you don’t have to struggle with the unit to carry it around. It also has 90 degree rotating head so you don’t have to strain your muscles to get at unruly angles. When it comes to strimmers there are two basic types of strimmers; petrol powered and electric strimmers. Petrol strimmers can often be powerful and handy for portability but they can be loud and require you to carry fuel around. This can be the cause for a lot of inconvenience for some people. This is where electric strimmers come in. They can deliver about the same level of power without having to rely on any fuel sources like petrol. Electric strimmers can be corded or battery powered. Both have their uses depending on what your needs are. Electric strimmers can offer many benefits over traditional petrol strimmers for a host of different reasons. This is why a lot of people prefer to get electric strimmers over petrol strimmers. However, there are many electric strimmers out there. You can get anything from cheap knockoffs to budget brands, popular brands and high end models. While it may be tempting to just grab the cheapest option but you need to able to think about the unit how it will fit your needs. This way you can get the best electric strimmer out there. The NETTA 550W Corded Electric Grass Lawn Trimmer Strimmer is one of the better electric strimmers that you will find. For a fairly reasonable price, you get a decent 550 W corded electric strimmer with great strimming action. It’s extremely lightweight and easy to use thanks to its adjustable telescopic handle. It also has an automatic line feed to help keep cables from snapping. It’s a quick and easy unit that will make your life significantly easier. Electric strimmers give you great freedom of control on how much power and convenience you need. Picking from the wide selection of electric strimmers is easier said than done. But thankfully online reviews have made it significantly easier to find out everything about strimmers. The Flymo Contour 500E Electric Grass Trimmer and Edger is a great all in one edger and strimmer. It uses an adjustable steady handle with a firm grip to help keep things steady. The telescopic handle extends to however much you want it to. You also get exclusive features like a double line feed system to keep your line running smoothly. Switching from a strimmer to an edger is easy simply by twisting the cutting head. The helpful plant guard on this unit will keep it from cutting too deep or running any prized plants in your yard. All in all, you get a very solid electric strimmer. Electric strimmers are some of the most popular strimmers around these days. They’re easier to use and manage which is why they’re so beginner friendly. Going down to your local store, you’ll find that there are more electric strimmers for sale than traditional ones. One of the more underrated electric strimmers is the BLAUPUNKT Garden Tools GT1000. Many people don’t know much about this unit despite it being a solid unit that provides the best functionality. The unit runs off a fairly moderate 250 W electrical motor but it manages to give you 12000 rpm worth of cutting power of your strimming needs. This unit is very easy to manage and manoeuvre around your yard. It has a gracious cutting angle of 23 cm giving you a greater cutting arc. This strimmer uses an all-aluminium construction to keep its weight down. This means that the unit only weighs 1.6 KG making it perfectly suitable for one handed use. The build quality for this unit is fantastic and its backed by a full 3 year warranty even if things do go wrong. It’s one of the best electric strimmers out there for the price tag. There are many things to consider when buying your first strimmer. But if you can get down to it and narrow things down based on the strimmers in the article, you should be good to go. By now you should have a decent idea about what kind of strimmer will work best for you and your gardening purposes.